Follow the lessons on the menu to learn how to program the Arduino Microcontroller to manipulate various electronic sensors and input and output components. Arduino is a great cost effective alternative to more expensive robot platforms that are pre-packaged and are limiting by cost. Arduino Micro Controller platform is Open Source in that all software to program the Micro Controller is free. The Arduino board design can be copied by any company and sold. 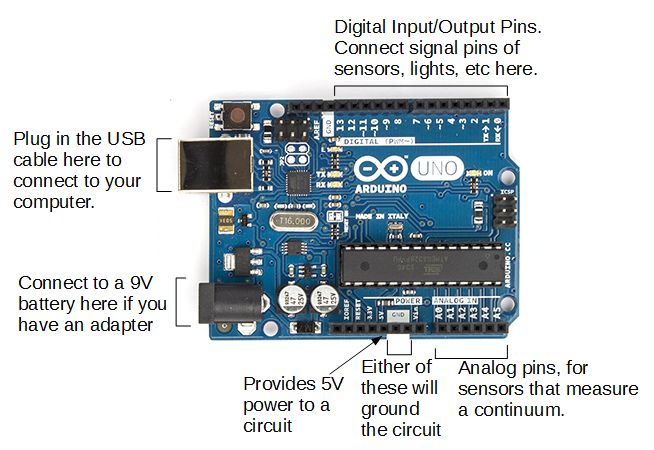 An Arduino board is made and sold by Arduino for approximately $30. However, more inexpensive boards can be found at electronics dealers that supply to educational institutions. Prices can range from $5.99 to $35.00. 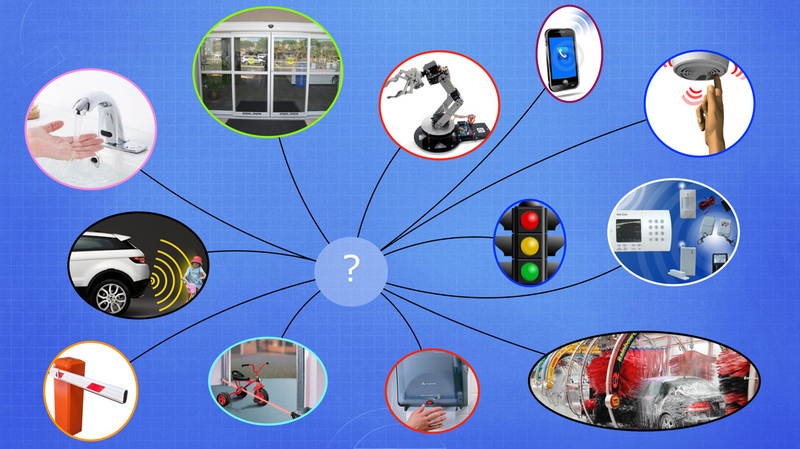 Just about any DEVICE that is used today contains a type of micro controller that uses sensors, inputs and outputs that sense, observe, communicate and control things all around us.